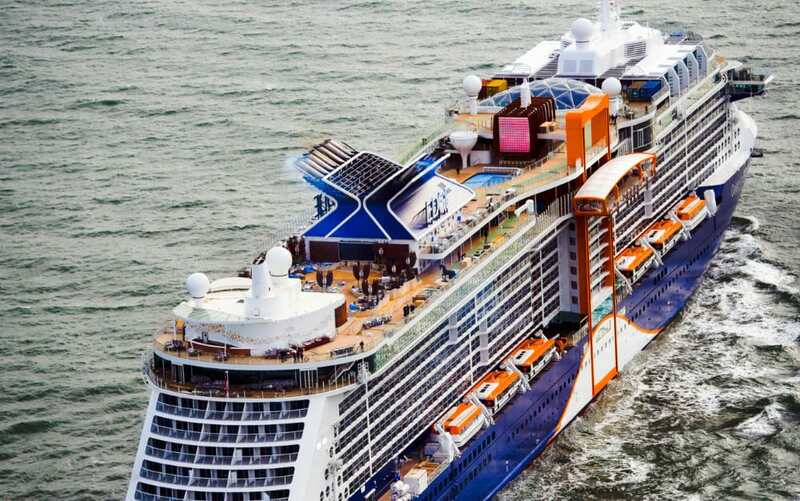 Celebrity Cruises has released an industry first full-featured 30-minute behind the scenes documentary of Celebrity Edge which is currently the newest ship in the fleet. The cruise line in partnership with award-winning production agency Artex Productions has produced a 30-minute documentary video of behind the scenes making of Celebrity Edge. The full-featured program named “The Making of Edge” covers how the most advanced ship in the fleet to date became a reality. The video is hosted by the ship’s ambassador Nate Berkus and he provides viewers an exclusive inside look at the building process of the new class cruise ship. Also included is the journey all the way up to the ship arriving at its new homeport at Fort Lauderdale, Florida and its naming ceremony. The 129,500-ton Celebrity Edge is the first new ship for the cruise line in more than six years. The ship has sparked a new era of cruising with another three identical vessels on order. The 2,900 passenger ship made its debut out of Fort Lauderdale, Florida on December 9, 2019, and ever since has been sailing week-long eastern and western Caribbean cruises. For the summer 2019 season, the new ship will offer a range of seven- to 11-night Meditteranean itineraries from Barcelona and Rome. “The Making of Edge” first aired on NBC affiliate WTVJ/NBC6 on March 16, 2019, in Miami-Dade and Broward counties.